30 Servings, KG Power, Increases Muscle Growth! Fully Loaded and Fully Transparent. There are no compromises. No shortcuts. TEST is the real deal. A massive 6 capsule dose, this is a natural test booster you feel. 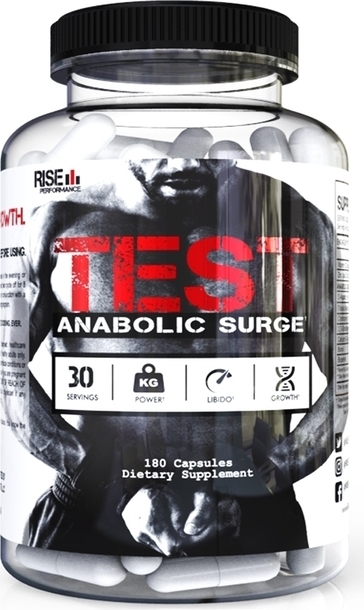 TEST is designed to naturally help jack up natural testosterone levels with a heavy dose of DAA with Boron, D3, Zinc, etc. while using compounds such as 3,3'-Diindolylmethane to help prevent a build up of estrogen. TEST was constructed as being completely comprehensive and having a number of additional benefits. One of which is the potential for a dramatic increase in compounds such as Cholorophylum and Tribulus. Additionally, Calcium D-Glucarate is to help in the metabolism of hormones and the clearance of toxins. 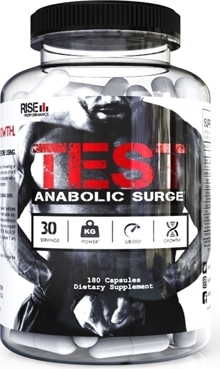 This product is not your normal natural test booster and should be treated as such. Do not use it for more than 8 consecutive weeks without an 8 week break. 180 Capsules This is a Buy 1 Get 1 FREE offer!